We regret to inform you of the passing of Scott Cummings. Scott was a proud Mayfairian who previously served as President of the Mayfair Civic Association and the 15th District Police District Advisory Council (PDAC) amongst other area endeavors. Scott leaves behind his wife Vicki and 4 children (Lindsay, Cody, John Scott and Logan). Services will be private. If we get anymore details we will post them. 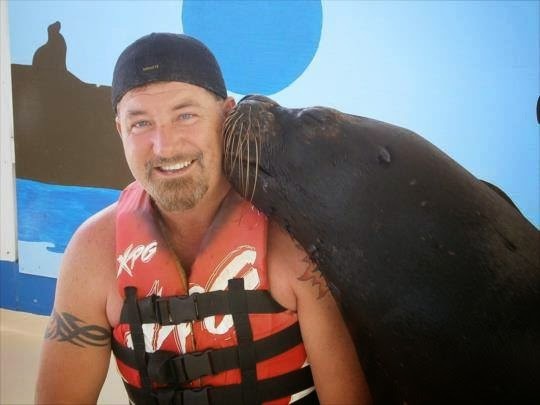 Scott cared deeply about his family and his City and will truly be missed. The May­fair Busi­ness As­so­ci­ation is pro­mot­ing the third an­nu­al Spook-tacu­lar, which will take place on Sat­urday, Oct. 25, from 10 a.m. to noon at May­fair Me­mori­al Play­ground, at Row­land Av­en­ue and Vista Street. The rain date is Sunday, Oct. 26. The event is geared to­ward kids un­der 10. The cost is $3 per child. Kids are en­cour­aged to wear their Hal­loween cos­tumes. They will have the chance to dec­or­ate a pump­kin, play Hal­loween-themed games and col­lect candy from spon­sors’ tables. Baked goods and T-shirts will be for sale. Pro­ceeds will be­ne­fit May­fair Me­mori­al Play­ground. At first glance, the interior of The Camouflage Rhino looks and feels just like any other thrift store you may have visited. Racks of clothing, second-hand furniture and various used appliances fill the sales floor. However, after learning about the store’s mission, these items suddenly have a noble purpose. The Camouflage Rhino employs area vets through a jobs program and 96 cents of every dollar it brings in goes directly to the Veterans Multi-Service Center in Philadelphia. Everything sold at the store directly benefits area vets. The idea for the store originated when the VMC was trying to find a better method of storing and offering donated items. In spite of the store’s innovative model of making the goods available to vets while also being open for sales to the public, it has struggled financially. McGee explained that is a major hurdle that the store has been facing since it opened in 2013. Rose McGee handles daily operations at The Camouflage Rhino. One of the issues the store is dealing with is that the signage out front still bares the name of the previous tenant, The Tangerine Rhino. Without a proper storefront sign, passersby and Mayfair residents have no way of knowing about the causes the store supports. Fortunately, there is potential assistance available to the store. 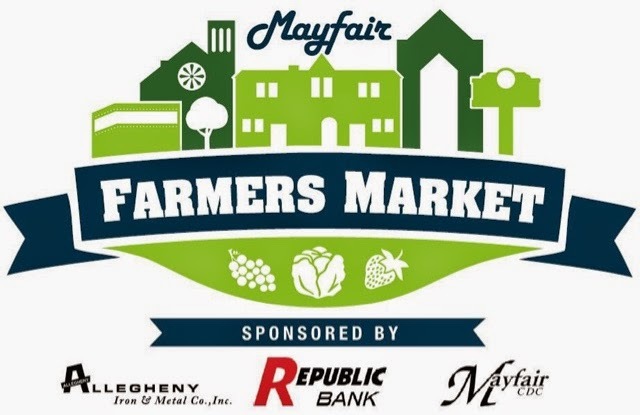 The Mayfair Community Development Corporation has approached them concerning a match grant program available to businesses in the neighborhood. The grant would alleviate some of the costs and allow the store to make exterior improvements. To make a donation or find out more about the Camouflage Rhino, call 267-731-6733 or visit the store located at 7126 Frankford Avenue in Philadelphia. It’s impossible to talk about Northeast Philadelphia without mentioning Frankford Avenue. Known to Mayfair insiders as The Avenue, Frankford Avenue was once a thriving business district in the heart of Northeast Philadelphia. Residents recall a time when Frankford Avenue was filled with retail shops, theaters and restaurants. Since then, businesses have come and gone. A surge of empty storefronts left residents wondering if The Avenue would every return to its former glory. But if the recent openings of new shops is any indication, Frankford Avenue will experience a revival soon enough. Here are five businesses that have recently opened on and near Frankford Avenue. Three sisters, and Mayfair natives, decided it was time to give Frankford Avenue a bit more style. Michele Lorimer, Melissa Zavatsky and Amanda Schneider opened Sisters Consignment (pictured above) in May 2014. The boutique sells high-end designer clothing and jewelry at affordable prices. The women remember when Frankford Avenue was a thriving retail mecca and hope their boutique (at Frankford Avenue and St. Vincent Street) will be the beginning of a return to that time. They consider their boutique to be “a consignment shop with an upscale twist.” Visitors should expect to find a variety of brands including Michael Kors and Dolce & Gabbana. Gone are the days of tattoo parlors in dark alleys and artists with poor hygiene and questionable pasts. Tattooing is recognized as an art form. And tattoo parlors have transformed into elaborate studios that display the unique talents of the artists. In May 2014, Mike Nemo opened The Inkwell 215 Custom Tattoo Studio (at Frankford Avenue and Tudor Street). A Mayfair native, Nemo creates custom designs and piercings for clients. He also takes pride in having other Mayfair residents on staff as artists. Each artist is known for their unique style, allowing clients endless ways to customize their creation. Nemo says his studio has been well received by residents and neighboring businesses. In June 2014, Mike Biase and Chris Moynihan opened this local eatery. The duo wanted to offer residents good food using fresh ingredients and a hip, yet comfortable, atmosphere.Commonwealth Kitchen (at Frankford Avenue and Rhawn Street) serves everything from pizza and wings to hand-cut poutine fries topped with Wisconsin cheese curds. And with football season underway, the restaurant serves a 6-foot hoagie that’s perfect for parties. Dana Lambie has been a Mayfair resident her whole life. She is actively involved in the community, serving as co-chair of Friends of Mayfair Memorial Playground, as well as serving on the boards of various community organizations, like Community Care of the Northeast. Her family also owns Lambie Funeral Home. Philadelphia Neighborhoods spoke with Lambie to find out what motivated her to become so involved. My grandparents grew up in Mayfair. My parents grew up in Mayfair and still live there. I grew up in Mayfair. My church is in Mayfair. When I started dating my husband, he would ask me to go certain places. I would have to ask how to get there. He couldn’t believe that I didn’t know how to get anywhere outside Mayfair. The thing is, my whole family lived within walking distance of each other. Even though we’re in the city, I looked at my small community as though it was isolated. Everything I needed was in a central location. How did you get to become so involved in the community and the Mayfair Memorial Playground? It started back when my oldest son was two years old. I would take him to the park for fresh air and exercise. One day we walked there and it was gone. There was no warning. Later my son also played T-ball at the Lansing Knights Youth Organization. So I went there one day and [Rep.] John Perzel was getting and award. I saw him talking to Melinda Mulvenna, and overheard her asking about the playground and if he could help bring it back. I told her that I would do anything to help her get it back. A few weeks later, she called me. Since then, it’s been the two of us figuring our how to get the playground back. We fundraised. We named ourselves Friends of the Mayfair Memorial Playground. We got hooked up with Kaboom, a nonprofit organization that helps put playgrounds in neighborhoods. At that point, all we need was a sponsor. Then Giant supermarket opened up in the neighborhood, wanting to do something in the community. They were eager to help. We all live in the neighborhood. We all have full time jobs and families. And we are all very passionate about the playground, so we volunteer. Can you spare a few hours this Saturday for our Fundraiser at the playground? Do you know or have a high schooler needing Community Service? Mayfair Memorial playground NEEDS volunteers for their latest Fundraiser. Several jobs haven't been filled such as help set-up and clean-up. Baking goodies (cupcakes or cookies) needed also. Pumpkins and inside playground - spreading the pumpkins around and showing people the gate to the back parking lot. Being there for questions of where things are at. Side Gate - making sure everyone enters through the front gate and direction towards the back lot where the games and candy are located. Last farmers market of the season starts at 10am. Fresh produce, artisan cheeses, home baked bread, delicious pastries, hot coffee, biscotti and more. At Cottman and Frankford aves. Check out MayfairCivicAssociation.comfor details of the 2014 Mayfair Halloween Decoration Contest including a map that is updated daily of all of the contest entries. Props to Shannon Brill for her design work, and to Aztec Signs for creating the coveted 2014 Mayfair Halloween Decoration Contest Winner lawn signs! Get crackin Mayfair ... Deadline to enter is October 19th! When neighborhoods come together, these are the results! We are extremely happy to have 30 more police officers patrolling the 15th District, and we are also happy to hear that splitting the 15th District is still being seriously discussed. The size of the 15th has been an ongoing problem for far too long. The Mayfair Civic Association may have led the charge, but if it wasn't for leaders from Frankford, Bridesburg, Wissinoming, Tacony and Holmesburg all working together along with Councilman Henon we never would have gotten this far. These 30 new police officers are a step in the right direction, and we are hopeful that splitting the 15th District is also in the not too distant future! Welcome to the 2nd Annual "Mayfair Halloween Decoration Contest"!! 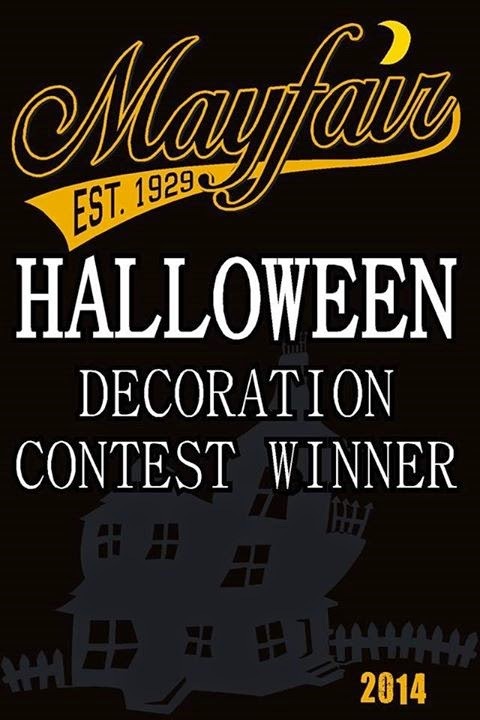 Working in conjunction with the Mayfair Business Association, we are going to be giving away prizes, and the coveted "2014 Mayfair Halloween Decoration Contest Winner" lawn signs to the 3 best decorated houses in Mayfair! - Once the nominations start rolling in, we will create a Google Map so that everyone can take a tour of Mayfair, and see the eerie entries for themselves! - Scare up the outside of your house with all things Halloween, and throughout the week of October 20th - 26th, our judges will be cruising around looking for the three scariest / spookiest / best decorated houses in Mayfair! 2. All addresses and displays must be clearly visible form the street! If your address isn't easily visible from the street, you may be overlooked! This contest is a team effort, and without the efforts of the Mayfair Civic Association, the Mayfair Business Association, and our neighbors in Mayfair who go all out during Halloween, it would not be possible. PROPS to you all! Together we can ensure that Mayfair continues to be a great place to visit, and an awesome place to live!